A historic Apple-1 computer, built by hand by Apple co-founder Steve Wozniak in 1976, sold for $750,000 at Bonhams' History of Science auction in New York on Wednesday, beating the predicted auction price of $300,000 to $500,000. With auction house premiums, the total value of the sale was more than $900,000. The Apple-1 was the first personal computer on the market. 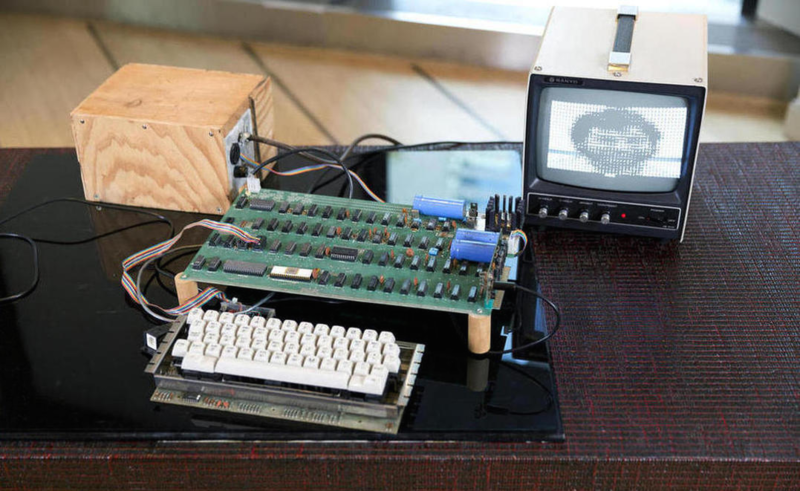 The particular item is believed to be one of first 50 devices hand-built by Wozniak in the summer of 1976, when Apple was still a fledgling company housed in Steve Jobs' garage, with his sister's bedroom as an annex. The auction lot included a fully functioning Apple-1 motherboard, a vintage keyboard, the original power supply and a Sanyo monitor. It came from the family of John Anderson, the founder of the Cincinnati AppleSiders, who has kept it under glass since 1989. There are currently only about 15 Apple-1s still in working order. Of the fewer than five operating Apple-1 computers that have been put up for sale in the past four years, all have been damaged, repaired or modified in one way or another. The model sold at Bonhams has undergone no such modifications. "This is one of the best examples of a working early Apple-1 board that I have seen," said Apple-1 expert Corey Cohen, who booted up the machine in August. "The condition is unlike the other Apple-1 computers that have come up for sale before." Other items that sold in the auction of scientific memorabilia include a flag from the original Apple European headquarters ($4,000) and several letters written by Albert Einstein, which sold for between $2,500 and $6,500 apiece.